The Heavenly choirs have anxiously awaited this day when our angel mother went to accompany them. 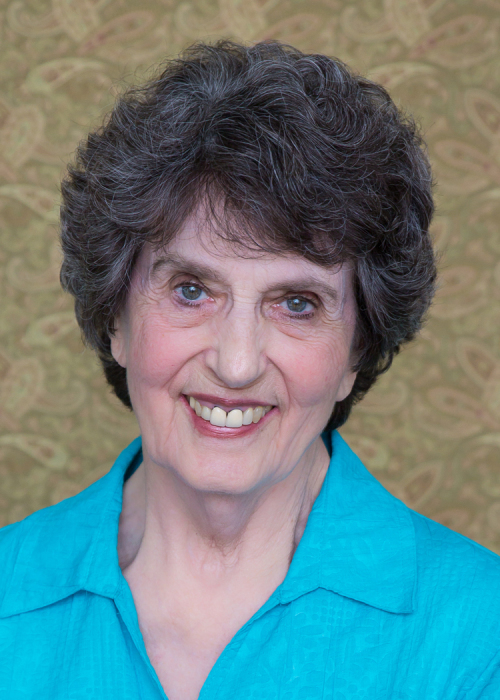 Karen Terry Rowley, age 80, slipped through the veil January 31, 2019 surrounded by her loving family. Karen was born December 21, 1938 in Orem, Utah, to Elvis Bird and Laura Lund Terry. She married her Eternal Sweetheart of 60 years, Claude Alvin Rowley, in the Salt Lake Temple on August 14, 1958. Claude and Karen raised eight children: Chad (Lisa) Rowley, Raymond (Linda) Rowley, Dale (Debra) Rowley, Douglas (Brooke) Rowley, Sherilee (Scott) Olson, Kenneth (Angela) Rowley, Joyce (Dwight) Davis, and Curtis (Elizabeth) Rowley. The joy of her life was her family, including 49 grandchildren and 58 great-grandchildren. Everyone knew grandma loved them and each felt they were her favorite. From the oldest to the youngest everyone knew where her cookie drawer was and visited it often. She loved it when the grandchildren came running in for a kiss and a cookie. Karen loved music and learned to play the piano and organ at a very young age. Her talents were called upon many times throughout her life as she willingly accompanied various choirs and vocalists. She especially loved accompanying her father while he sang. She accompanied the Santaquin Community Choir for many years. With her patient tutelage, many of her children and grandchildren learned how to play the organ. Karen graduated from Orem High School in 1957 where she was class Valedictorian as well as a member of the Tigerettes. In her teenage years she loved playing softball, which was detrimental to her piano playing. If she ever jammed her finger she would never tell anyone, especially her father. Her love of family and desire to bind them in unity led her to create many family traditions including Valentine lunches, Easter egg hunts, Thanksgiving dinners, Christmas Eve programs, and New Year’s Eve parties. She loved to play games with her family. Everyone was invited to share in her bounty. She was known for her cherry jam and fruit pies. Karen knew the value of work and was especially talented in bookkeeping. She worked in this capacity at Cherry Hill Farms for 60 years, Mountainland Apples for 20 years, and Summit Creek Irrigation Company for 43 years. Oftentimes, you could find her on the farm during cherry season driving the forklift and enjoying the time spent alongside her children and grandchildren. Karen was a member of The Church of Jesus Christ of Latter-day Saints. She loved her Savior Jesus Christ and patterned her life after Him. She not only served her family but blessed everyone around her with her kindness. She also served diligently in church callings in the Relief Society, Primary, Young Women, Provo Temple baptistry, and Payson Temple as an organist. She loved her time as a missionary as well. Claude and Karen served two missions together: Girls’ Camp facility missionaries for southern Utah and missionaries at the Hurricane Welfare Farm. Her current and favorite calling was Primary pianist. She lovingly supported her husband through the years in his many church callings. She was preceded in death by her parents Elvis and Laura Terry; her sister, Sheree Balser; a grandson, Christopher Rowley; and a great-grandson, David Rowley. 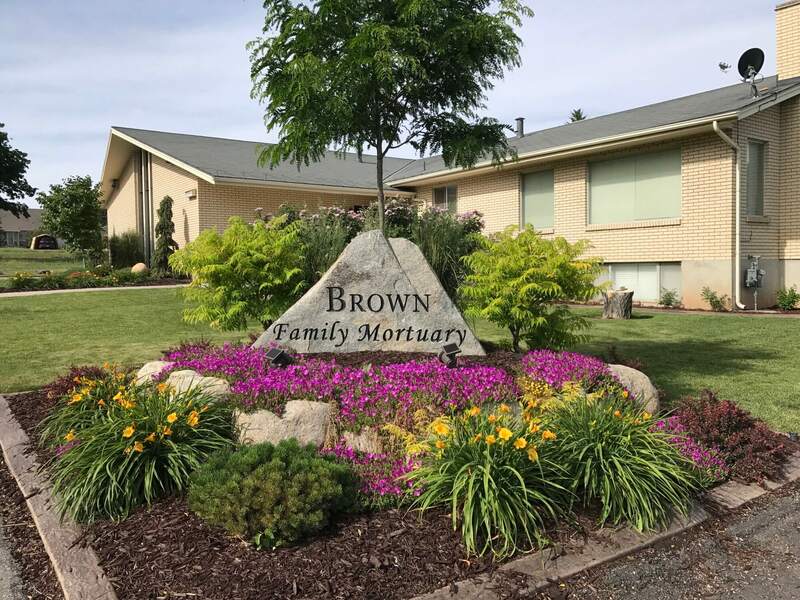 Funeral services will be held Friday, February 8, 2019 at 11:00 am at the Santaquin North Stake Center of The Church of Jesus Christ of Latter-day Saints, 545 North 200 East. A viewing will be held Thursday, February 7th from 6:30 to 8:30 PM at the Stake Center and again on Friday, February 8th from 9:30 to 10:30 AM prior to funeral services. Interment will follow at the Santaquin City Cemetery. In lieu of flowers, donations may be made in her name to The Church of Jesus Christ of Latter-day Saints Humanitarian Aid Fund.